Will Military Drivers Help Solve the Driver Shortage? With the commercial driver shortage already affecting the industry, the Federal Motor Carrier Safety Administration (FMCSA) has been making big changes to try to stabilize the situation. 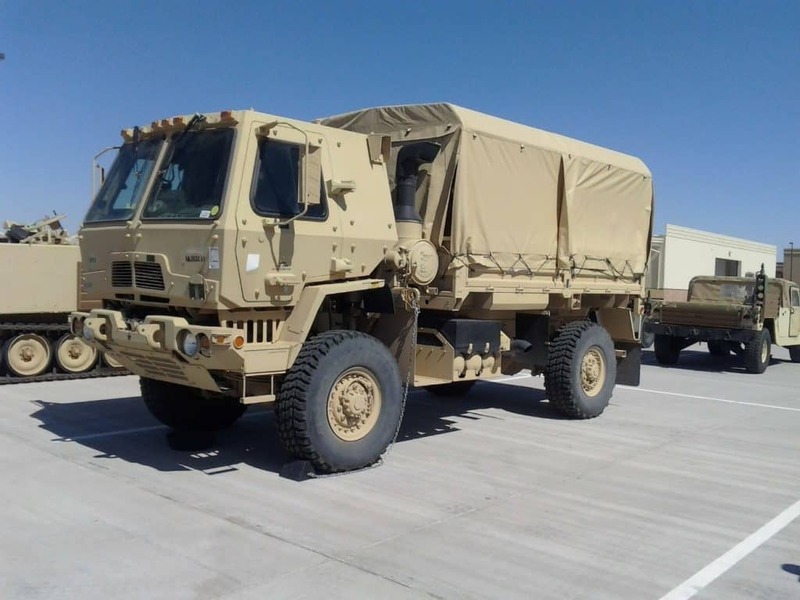 Part of their plan includes a pilot program allowing 18 to 21-year-olds with prior relevant military experience to operate commercial motor vehicles (CMVs) in interstate commerce. The program is also targeting civilians 18-20 with licenses to operate CMVs in intrastate commerce and 21 to 24-year-olds already licensed for interstate commerce. This final demographic will serve as the control group to compare stats and scores for safety and general operations. Around 50 carriers will participate in the pilot program of 600 drivers—200 for each designated group of drivers. FMCSA estimates they will need an additional 20 carriers and 300 drivers to account for turnover rates. In addition, the US DOT agency is giving preference to carriers that can provide an even number of drivers for each group. FMCSA is also taking significant measures to ensure the safety of all participating drivers as well as the motoring public. Cannot have any open or closed enforcement actions in the preceding six years. Had a conviction for any of a variety of motor vehicle violations (i.e. DUI, BAL greater than or equal to 0.4 while operating a CMV, fled the scene of a crash, reckless driving, etc.). By the end of 2016, the driver shortage stood at 36,500. The American Trucking Association (ATA) thinks that number will exceed 175,000 by 2024 due to a variety of factors including demographics, regulations, lack of work-life balance, and an aging workforce. This final element, driver retirement, will account for almost half of the demand for new drivers. The economy is already feeling the effects of the shortage, as the cost for deliveries increased and delivery times lengthened. The driver shortage problem isn’t just a matter of filling a labor gap. Retention is a significant element of ensuring the survival and success of a fleet. To learn more about improving your trucking business and coverages, contact the experts at Interstate Motor Carriers. We will help implement innovative solutions to meet your retention and risk management needs. High-profile cyber attacks on companies such as Sony, Target and Zappos have generated national headlines and have raised awareness of the growing threat of cyber crime. Recent surveys conducted by the Small Business Authority, Symantec and the National Cybersecurity Alliance suggest that many small business owners are still operating under a false sense of cyber security. The statistics are grim; the vast majority of U.S. small businesses lack a formal Internet security policy for employees, and only about half have even rudimentary cyber-security measures in place. Furthermore, only about a quarter of small business owners have had an outside party test their computer systems to ensure they are hacker-resistant, and nearly 40 percent do not have their data backed up in more than one location. Shockingly, despite these significant cyber-security exposures, 85 percent of small business owners believe their company is safe from hackers, viruses, malware or a data breach. This is largely due to the widespread, albeit mistaken, belief that small businesses are unlikely targets for cyber attacks. In reality, data thieves are simply looking for the path of least resistance. As more and more large companies get serious about data security, small businesses are becoming increasingly attractive targets—and the results are often devastating for small business owners. Train employees in cyber-security principles. Install, use and regularly update antivirus and antispyware software on every computer used in your business. Control physical access to your computers and network components. Secure your Wi-Fi networks. If you have a Wi-Fi network for your workplace make sure it is secure and hidden. Cyber security is a serious concern for all businesses—large and small. Contact Interstate Motor Carriers/Capacity Agency, LLC. to learn how our risk management resources and insurance solutions can help protect your business from cyber attacks. Digital security is a growing concern for the trucking industry, which is not surprising, considering it is gaining importance for most businesses in the country. Cyber security is a cost of doing business in the U.S. as there are cyber hackers waiting to attack at any time. Many truckers now conduct both professional and personal business from their truck cab making their truck a target. It’s important for truckers to recognize that they need to consider cost-effective risk management practices that will protect them from cyber attacks. Most truckers are aware of the need for and may have put into place protection for their hardware systems, including separate safety systems to shield their entertainment/information systems and vehicle-based technology. But software-based security systems have been slower to be adopted. 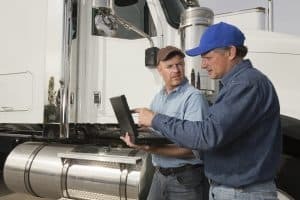 Here are some best practices that truckers may want to consider when it comes to digital security. Many automotive manufacturers are now integrating security systems into the design of the vehicle and add-on features that include technology. As computers and cloud solutions become standard in vehicle systems used for everything from navigation to safety monitoring, cyber security is an issue rising to the top. The issue of digital security in the trucking industry is a serious one. It is possible for cyber hackers to do almost anything to your vehicle, including controlling steering, brakes and lights. Right now cyber attackers are mostly pranksters, but in the future hackers may become more serious and could access financial information (such as credit card numbers) that are stored on computers in the trucks. Vulnerable systems in a truck include adaptive cruise control, parking assist and pre-crash braking, as well as telematics. Truck manufacturers, government and industry groups need to take cyber security threats seriously and develop security systems. to protect truckers and the public. To learn more about protecting your transportation business, contact us. CSA raw data was originally legislated to exist in the public eye, but was pulled from view almost immediately after being signed into law. FMCSA claims that their analytics represent a fair, accurate, and important picture of safety culture and records throughout the transportation industry. The Federal Highway Administration (FHWA) has released revisions to its Highway Safety Improvement Program, which could have numerous effects on transportation professionals across the country. These revisions stem from MAP-21 and the FAST Act, and include a removal of reporting requirements as well as the high risk rural roads provision. This reduced transparency could alter the efficacy of the program. Private meetings with the Environmental Protection Agency (EPA) and National Highway Traffic Safety Administration (NHTSA) have resulted in the release of a variety of documents by federal regulators regarding greenhouse gas emissions. These include memos on the legality of the greenhouse gas policy, selective enforcement and inspection of aerodynamic compliance among transportation power units, effects of tire rolling resistance on stopping distance for Class 8 vehicles, and more. Is your transportation business prepared for these and other regulatory changes? Do you know the potential cost savings or increase associated with each policy change? To learn more about the impact these and other regulatory changes could have on your business, contact us. Click here to learn more about Interstate Motor Carriers & Sentry Insurance. 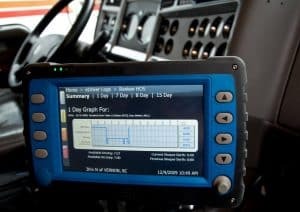 Although the Federal Motor Carrier Safety Administration (FMCSA) missed its October 30 deadline for issuing its final rule on Electronic Logging Devices (ELDs), the new regulation should be out soon. Dave Osiecki, senior vice president of policy and regulatory affairs for American Trucking Associations (ATA), told attendees at a recent conference he’s “pretty confident” the rule will be published this month. It has already passed the Office of Management and Budget (OMB). Aiming to hold businesses accountable for higher safety standards, Congress mandated ELDs in the transportation reauthorization bill of 2012. 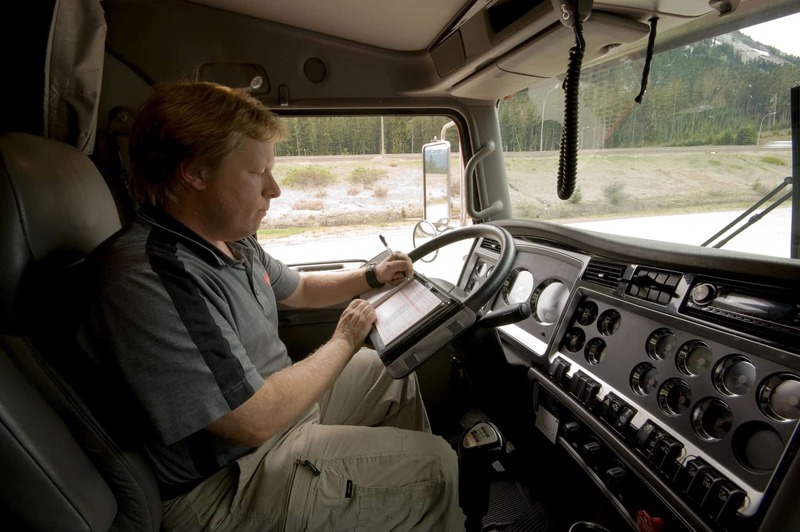 The law called for a rule requiring commercial motor vehicles to use ELDs to record hours of service (HOS), replacing the current rule that requires drivers to maintain paper logs. As many as 3.1 million trucks and 3.4 million drivers will be affected by the new rule. ATA anticipates a two-year window to comply with the new rule, along with a four-year “grandfather” window to allow current electronic logging systems to be brought up to the new specification. But there are good reasons to start planning now to implement a solution. Monitoring a truck’s engine to capture a wide range of data such as engine hours, miles driven, power and motion status, and authenticated user identification data, ELDs promise to reduce paperwork and reduce accidents by keeping fatigued drivers off the road. enable management and dispatchers to better ensure HOS compliance and plan driver assignments more effectively. To meet the requirements of the law, fleets should find the onboard technology partner best suited to meet their goals and ROI. Options will range from low-cost, single-function systems that simply meet the requirements of the new regulations to comprehensive systems that provide a wide range of benefits to management and drivers. ELDs can potentially reduce your insurance premiums by reducing risk and proving that your fleet is HOS compliant. To learn how ELDs might reduce what you pay for trucking insurance, contact us. Any motor carrier that must comply with MCA80 and attach MCS90 will have to file for proof of financial responsibility under the new regulations. The effective date these regulations has been pushed back to a 9/30/16 implementation and 12/31/16 for enforcement. At present, only for-hire motor carriers who have applied for authority to haul processed goods of others in interstate commerce and have been provided an MC# are required to have an insurance filing. The MCA80 requires all for-hire interstate motor carriers to meet the financial responsibility requirements ($750,000). Additionally, it requires all motor carriers hauling any quanitity of hazardous material across state lines to have a filing (limit of no less than $1,000,000). This only applies to intrastate hazmat transport in bulk quantities. The implementation pushback will allow the Department of Transportation additional time to prepare to for the significant increase in registered transportation professionals/operations. Estimates vary from 25,000 to over 100,000 new registrations resulting from the regulatory changes. Additionally, the extra time will allow motor carriers to prepare for and better understand the new rules by the time they are implemented. For more information on this and other transportation regulatory changes, contact us. Could a national “SmartPark” initiative for the trucking industry become a reality soon? Pilot programs that give truckers real-time information about parking availability are well underway in Tennessee and Michigan. The goals of the projects are to reduce driver fatigue, better adhere to hours of service requirements, and improve drivers’ work conditions. Commercial truck drivers typically spend 30 minutes or more searching for a place to park their rigs. Expansion of these “SmartPark” projects into a ubiquitous, multi-state, corridor-focused network is a dream of many in the industry. 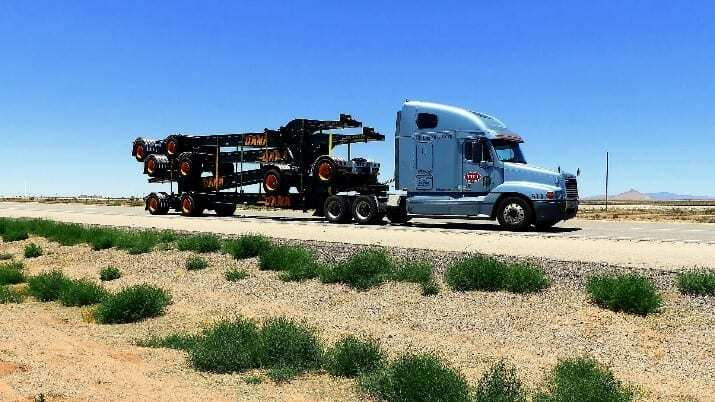 They hope Congress will make the necessary funding available when it confronts reauthorization of the current surface transportation law, which expires October 29. The National Transportation Safety Board recommended 15 years ago that the Federal Motor Carrier Safety Administration (FMCSA) take steps to provide truckers with real-time information on the location and availability of parking spaces. But it was just two years ago that federal officials felt they had found a workable technology a system that identifies vacant spaces through a combination of Doppler radar and laser scanning and disseminates that information via dynamic electronic message signs, smartphone apps, websites and in-cab messaging. The FMCSA has been testing the system on northbound Interstate 75 in eastern Tennessee. The Federal Highway Administration is funding a similar system along a 129-mile stretch of southwest Michigan’s I-94 corridor that’s used by 10,000 trucks daily but offers only 158 spaces in its five public rest areas. The corridor’s commercial truck traffic accounts for 23 to 30 percent of all its traffic and represents some of the highest commercial volumes in the Midwest. The projects are working well, making it easier for drivers to avoid going over hours and saving carriers money because drivers can spend more time driving and less time searching for parking. Truck Smart Parking Services, one of the partners working with FMCSA, estimates that national deployment of the system could save industry $4.4 billion annually. Each driver could save two gallons of diesel and reduce greenhouse emissions by nearly 45 pounds per parking search, more than 3.3 million tons of carbon dioxide each year. Interstate Motor Carriers has consistently provided creative solutions and specialized insurance programs to the trucking industry since 1936. Contact us for a fresh look at your insurance options. A public hearing in Long Beach, CA this month prompted a wave of support for this initiative and concern for the current trajectory of human environmental impact. The hearing was held regarding a proposal by the U.S. Environmental Protection Agency (EPA) and National Highway Traffic Safety Administration (NHTSA) originally submitted in June. While commercial freight and passenger trucking comprises the backbone of our economy and way of life, the transportation industry is also a major generator of greenhouse gases and other concerning pollutants. But is the concern that can be found so easily in California one that will resonate with those in other parts of the country? Daniel Kieffer, Director of Emissions Compliance for Paccar Inc., indicated that his truck manufacturing business sees the pending proposal as a potential win-win. He notes that this may only be possible, however, if the complexities of market costs, market demand, aerodynamic science, and vehicle ownership and operation costs can reconcile into a profitable arrangement. It will be difficult to know how this will shake down for individual businesses until the proposal specifics are defined and approved, and go-live date is then posted. Current details available indicate that the proposed regulations would aim to reduce greenhouse gas emissions in the United States by approximately 1 billion metric tons, conserving nearly 2 billion barrels of oil. This would theoretically save the transportation industry about $170 billion in fuel costs over the lifetime of vehicles sold under the program. The proposal would have regulation changes begin for model year 2021 and phase in fully by model year 2027. While some have shown great concern over the industry’s ability to bear these up-front (and potential) long-term costs, other have spoken out in opposition to the seeming lack of urgency. While climate scientists are working harder than ever to determine what impact our behaviors have on years and decades to come, it is unclear to what extent these regulatory changes will be effective. But if, as Mr. Kieffer points out, the regulations can provoke a positive shift in the transportation community, this may be a transformative shift in trucking technology. Read the proposal here. To learn more about trucking legislation, transportation news, and safety and compliance, contact us.